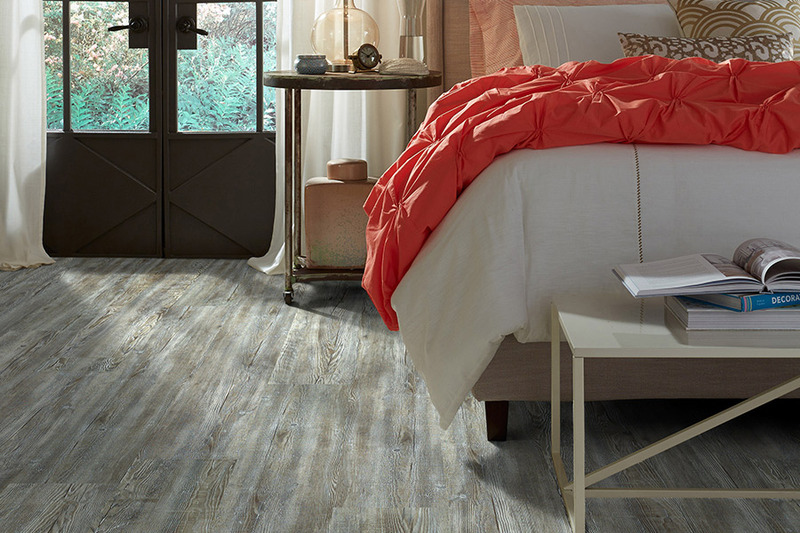 Vinyl sheet flooring is just as popular as it has always been. In fact, many homeowners prefer it for the bounty of benefits that it affords. It offers far more quality and durability than it did years ago, and there are far more styles and designs to choose from. This means it’s much easier to find something in this product line to match your existing décor. We are going to tell you a little more about the most important aspect of this awesome floor coving. 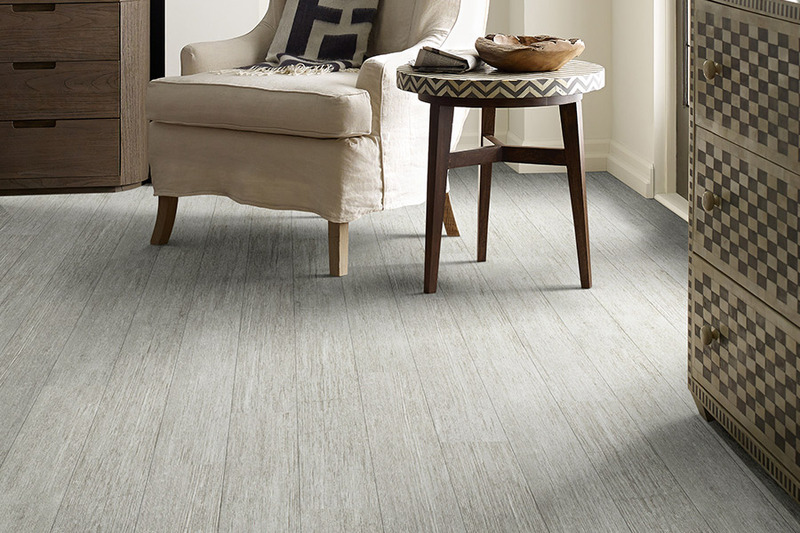 Capitol Flooring has spent more than twenty years meeting the needs of their customers. 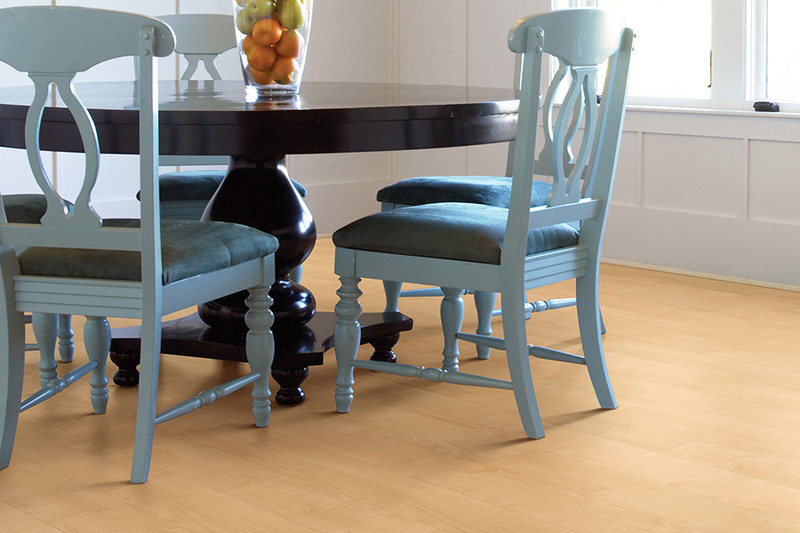 For the areas of Atlanta, Sandy Springs, Marietta, Brookhaven, Decatur, and Buckhead, we have been a mainstay for all flooring needs, with expertly trained flooring specialists, who also excel in flooring design and installation. You can stop by our Atlanta, GA showroom at your convenience, to find out more about how we can make your own flooring dreams become a reality. 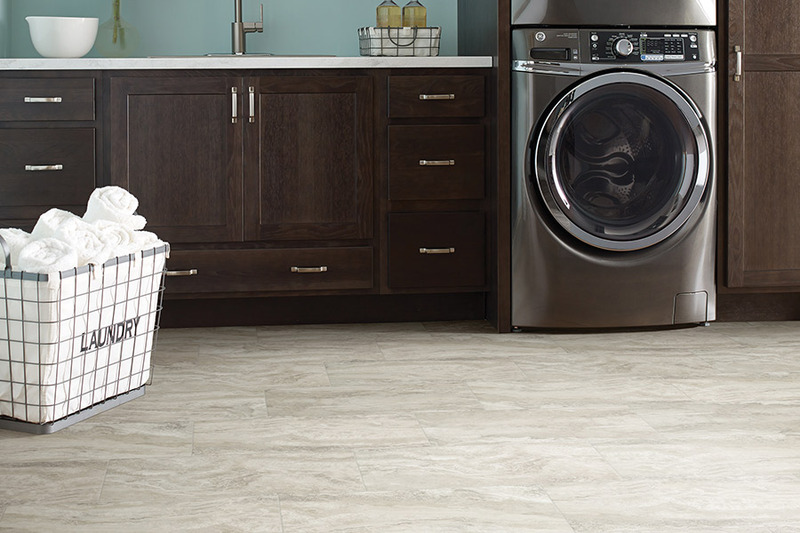 When you compare the value of vinyl sheet goods with their durability and practical application, you’ll quickly see why it’s a popular flooring choice for many homeowners today. 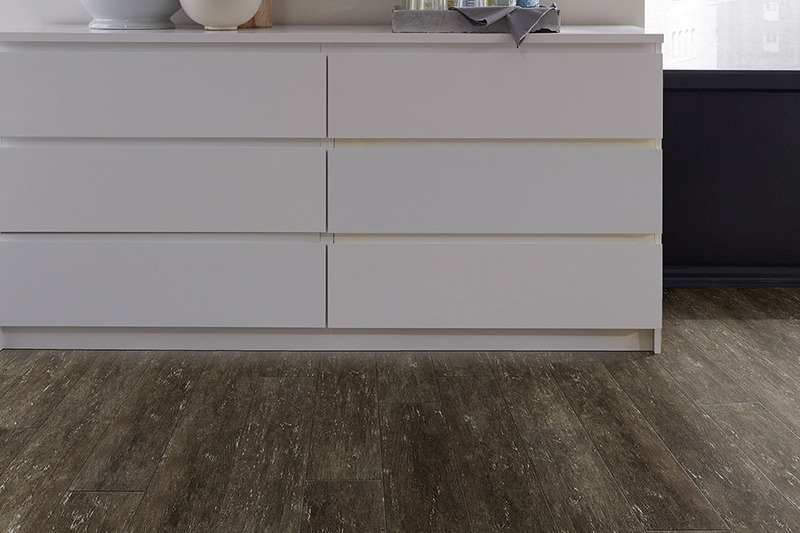 One of the most appealing characteristics of vinyl flooring, is its ability to mimic natural materials. 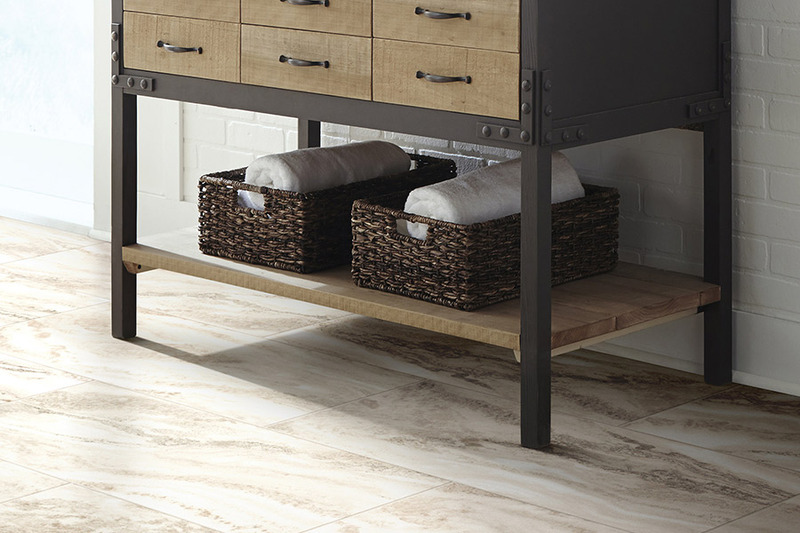 Tile, stone and solid wood are a few of the looks you can have with this material, and the realism might surprise you. Additionally, the very fact that this flooring is not broken up, means that the design doesn’t have an expected “pattern”, and can be as widely varied as you could possibly imagine. Another major plus for vinyl sheet goods, is that there are no seams at all in an average size room. This means anything that spills on the floor, and remains away from the edges, will never have the opportunity to soak into the floor, or reach the underside of the material. This creates a nearly waterproof surface that is so easy to clean, it’s sometimes a sole reason for choosing this flooring. For this reason alone, it’s a great choice for bathrooms, laundry rooms, foyers, and kitchens. When it comes to installation, we firmly suggest leaving the job to a professional. Many homeowners who have attempted to make this a DIY project, wind up regretting the attempt. A good deal of experience is necessary as absolutely exact measurements, and extremely precise cuts, must be made in order to properly fit the flooring.